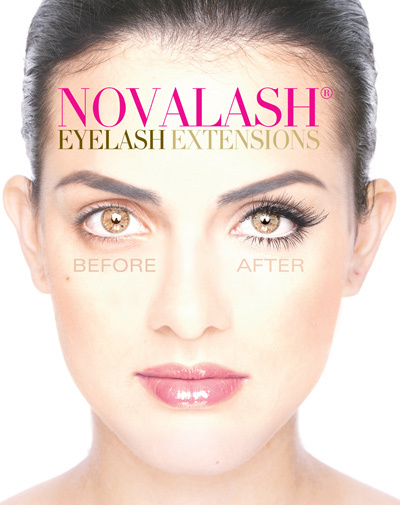 Award-winning, long-lasting, pharmaceutical grade adhesives have earned NovaLash its reputation as “the healthiest” professional eyelash extension system. Comprised of a wide-ranging palette of colors and textures that can be combined for looks that run the gamut from subtle and natural to trendy and glamorous; each application is a work of art with an intricate finish. The Lash Loft is committed to bringing only the highest quality lash extensions to our clients - to use anything less than the best would be a disservice to our loyal lash-onistas! That's why we use NovaLash products in every application and offer their line of cosmetics to our customers. NovaLash Platinum Bond adhesive is the only adhesive that undergoes a four-step purification process, along with toxicity and safety tests. In 2013, NovaLash won the Launchpad Reader's Choice award for best eyelash extensions and best eyeliner. That year, they also won American Spa's Professional's Choice award for best eyelash extensions.